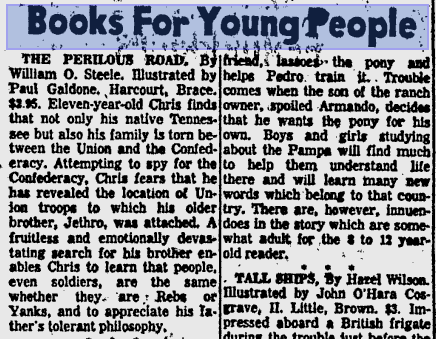 Every Monday, I highlight a book from our school bookroom along with lesson plan suggestions. Feel free to use anything you find useful, but comments are always appreciated! We talk a lot about filling in background knowledge of our high-poverty and ELL students. 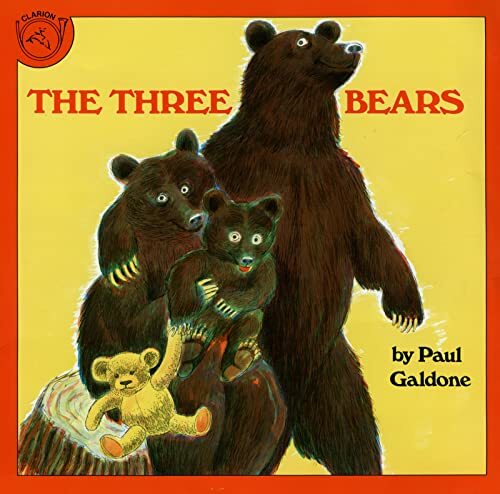 Lucky for us, we have a whole bunch of Paul Galdone’s traditional stories in our bookroom. I’ve seen The Three Billy Goats Gruff, obviously (it’s currently in the bucket of former SFA Roots books), The Little Red Hen, The Three Bears, and The Gingerbread Man. Combine this with all the James Marshall fairy tale books we have, and we’ve got a pretty solid collection. You might also want to talk with our Kindergarten team, as I know a few teachers did a fairy tale unit last year. You can learn more about Galdone here, in a neat Seattle Times profile. Information on the Austrian-born artist and his work can also be found here, here, and here. You know I’m more than wary about Wikipedia, but I’m perplexed that I can’t find any “official” biographies. Holy COW, look at all the books he illustrated (scroll down to the bottom). Children’s book historian Leonard S. Marcus had this to say about Galdone’s works: “Knowing that copies of his books were bound for use in preschool and elementary school classrooms and public libraries, he planned his illustrations with the child in the last row at story hour in mind.” I love learning the thinking behind books, particularly picture books, which are so often dismissed by grown-ups as easy to write. You can see his illustration style in this sample of The Little Red Hen. Use prior knowledge to connect with text. This goes along with asking questions, below. Ask (or chart) what traditional stories students have heard or seen. This will help you gauge familiarity with patterns such as the rule of three, etc. Ask questions throughout the reading process. Before: What are some characteristics of traditional or enduring stories? During: What patterns do you notice in the structure of the story? Does it remind you of any other children’s stories? After: Why do you think the author says the troll was “as mean as he was ugy”? Do you often notice that the evil characters are ugly while the heroes are pretty or handsome? Why do you think many authors do this? Use punctuation to enhance phrasing and prosody. For primary students, talk about the all-caps words and the different tones the billy goats and troll might use. This would be a great shared reading opportunity to start with, because everybody will probably wind up sounding pretty silly. For older students, you could contrast the all-caps approach of conveying mood with more modern books like Geronimo Stilton, which uses multicolored, crazily-shaped text. How does technology impact the way books are written, published, and ultimately interpreted? How do these interpretations change over time? 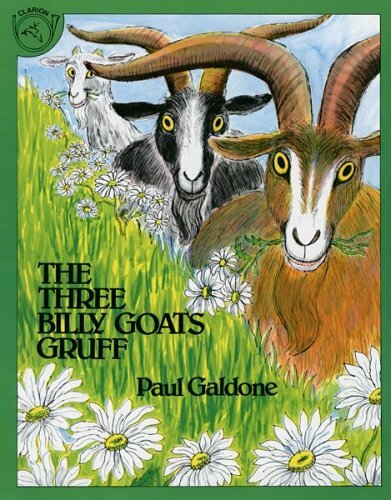 Speaking of different interpretations of the Three Billy Goats, this is a tremendous resource. Please add any lessons or supplemental materials to the book bag so future teachers can utilize your good thinking! Comments and constructive feedback are always welcomed. Please let me know if these lessons were useful in your class! Previous Previous post: Do what you love for the rest of your life.